Snug on the Square is a cozy, warm coffeehouse and cafe that specializes in oversize, made-to-order omelettes, waffles, breakfast sandwiches and locally roasted coffee, as well as melts, homemade soups and salads for lunch. Local artists and musicians are featured in this wonderfully eclectic shop that features beautiful hardwood floors, an upstairs loft with couch seating and an outdoor patio with plenty of comfortable seating. Come have a delicious mocha crafted by knowledgeable, friendly baristas or enjoy one of the deliciously unique Snug Melts such as the Turkey Almond Jack or Bacon and Pimento Melt. Free WIFI is offered and breakfast is served all day, everyday. Honey ham topped with melted pecan cheddar, baby spinach and a touch of strawberry jam. Served on buttery brioche. Roasted turkey topped with melted smokey almond jack, baby spinach and honey raspberry dijon. Served on buttery brioche. Our signature pimento cheese with crispy bacon, candied jalapenos and a touch of peach preserves. Served on dark molasses. Thinly sliced roast beef, melted cheddar, lettuce, tomato, red onion and horseradish sauce. Served on buttery brioche. Roasted turkey, ham, bacon, melted swiss, raspberry honey dijon, lettuce and tomato. Served on buttery brioche. 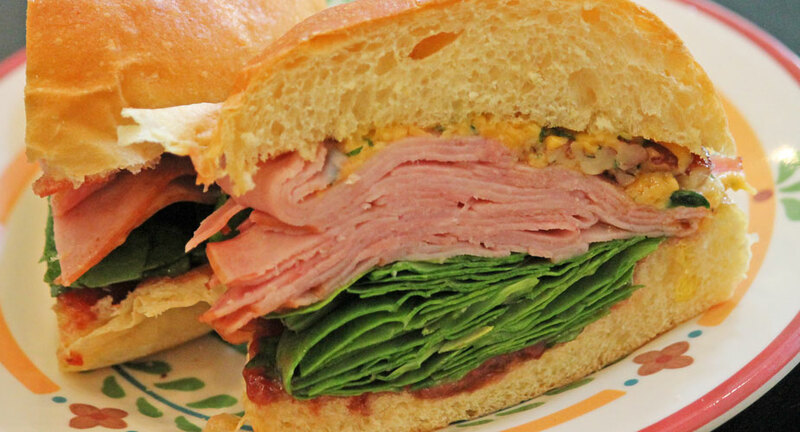 Smoked ham, salami, provolone, red onion, lettuce, tomato and Italian seasoning. Delicious hot or cold. Served on buttery brioche. McKinneyís own Hammís smoked pulled pork BBQ with sliced red onion, melted cheddar and a tangy BBQ sauce. Served on buttery brioche. Deliciously seasoned, homemade all-white meat chicken salad with toasted almonds, red grapes, lettuce and tomato. Served on dark molasses. 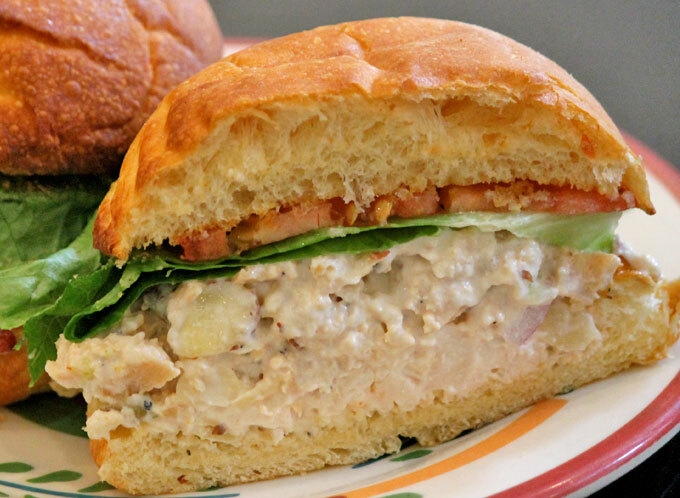 Freshly seasoned tuna salad with all-white albacore tuna, topped with lettuce and tomato. Served on dark molasses. A yummy Southern tradition kicked up a notch with diced jalapenos, topped with lettuce and tomato. Served on dark molasses. Sliced bananas with yummy Nutella® chocolate and honey mayo on toasted dark molasses bread, dusted with powdered sugar. Hearty and filling with lean ground beef, black beans, onions, corn, tomatoes and taco seasoning. Bowl of soup is topped with cheddar, sour cream, served with tortilla chips. Amazingly good! Fresh baby spinach salad with strawberries, toasted almonds, tomatoes, cucumbers and grilled chicken breast. Strawberry poppyseed dressing makes this extra wonderful. Crisp green leaf lettuce and baby spinach topped with roasted turkey, honey ham, crumbled bacon, cherry tomatoes, hard-boiled eggs and sliced cucumbers. You'll love it with honey dijon or ranch. Free Wi-Fi. Breakfast & Lunch served all day.